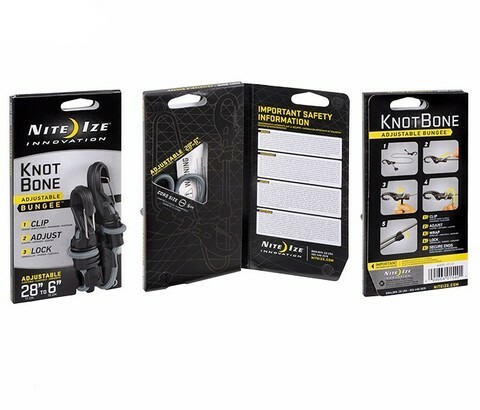 At Nite Ize, we find it almost impossible to look at simple everyday tools without thinking of ways we could improve them. 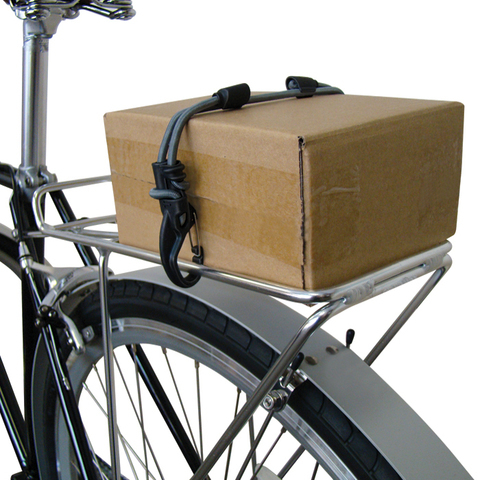 It drives the people around us a little crazy sometimes (okay, all the time), but the result is a line of products that have one important thing in common - they&apos;re a smarter and easier-to-use version of everything else out there. 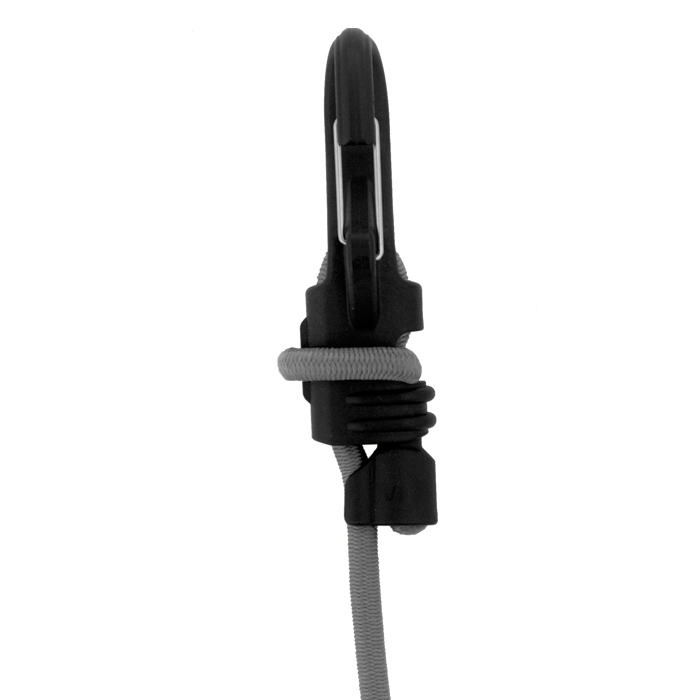 Take our KnotBone Adjustable Bungee, for example. 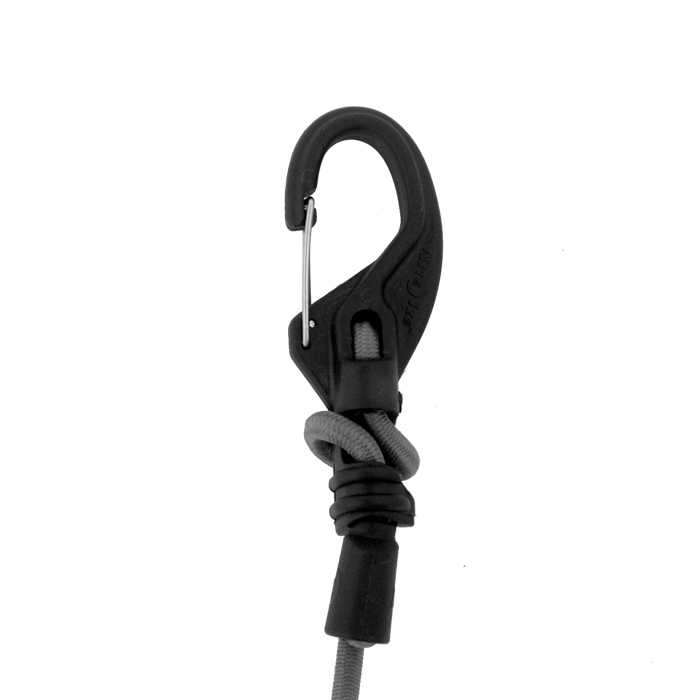 With carabiner clips instead of open hooks at each end, it not only attaches to your anchor points, it locks there. 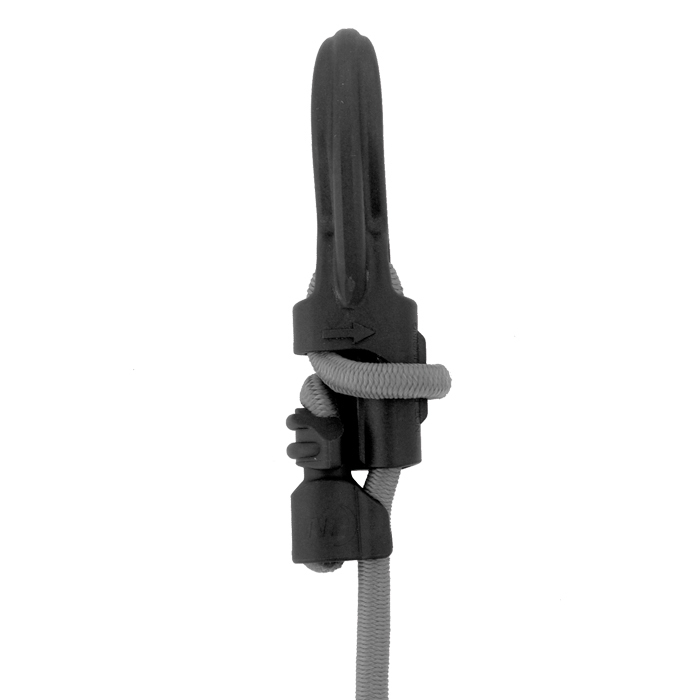 Instead of elastic that loses its stretch over time, the KnotBone Bungee has a durable, high quality cord that threads through each end, adjusts from 48" to 10" in the #9 size and from 28" to 6" in the #5 size. Once you have it adjusted to the right length, secure it in place with a simple wrap-and-lock motion. We&apos;ve even added small self-clipping plastic caps to the cord ends to keep them in place once you&apos;ve got your load secured. 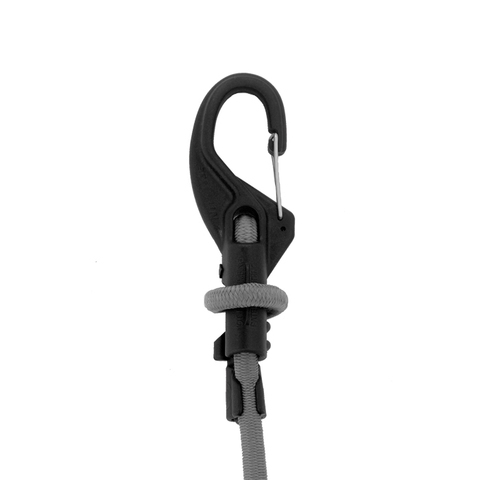 No more pulling, stretching, and re-hooking to get the tension you want - job after individual job, the KnotBone Bungee stays right where you attach it, pulls securely to the exact length you need, and locks there.